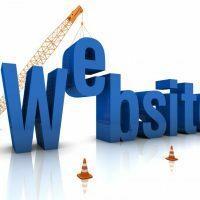 Find any Property with PacelFact.com. Input State County and APN to get GPS codes and location of any rural vacant property. Jack Butala: Welcome to our show today. 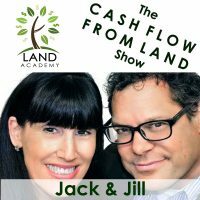 In this episode, Jill and I talk about how to find a property … really, any property, with parcelfact.com. It’s one of my favorite. It is my favorite product that we are rolling out here, in just a couple weeks. Before we get into it, let’s take a question posted by one of our members on the Land Academy / Land Investors online community, it’s free. David V asked, or stated … I like this even better. Jack Butala: I had to put this in here. Jill Dewit: “Great deal to brag about.” What day was this? Was this, how recent was this? Jack Butala: Really, really recent. Jill Dewit: Oh, good. Okay. Jack Butala: I got these questions and all of them for this week, right off of success plank. Copy and paste. Jill Dewit: Cool. All right, “Great deal to brag about. Just did a deal that produced over three thousand percent return.” Oh my gosh. “Two acres. Paid five hundred dollars”. Jack Butala: And they’re probably buying it. I, if I know David, I do know David … they’re buying it for half of what it’s worth. Jack Butala: Well, that is the best thing. Jack Butala: People pay for publicity like this. Jack Butala: On a house deal. Jill Dewit: Right. No, on a land deal. He never lost twenty thousand-, because he did on a house deal. Jill Dewit: Didn’t sell, didn’t sell, didn’t sell. Took a million dollar hit. Jack Butala: Gosh. That’s awful. Jill Dewit: Yeah. Like, oh that hurts. Jack Butala: It’s just a tragic story. I just sat there and, you know, I don’t know. It’s awful. Jill Dewit: It hurts. It does. You know it happens. Jack Butala: I mean, we’ve lost money on house deals. Not like that, but geez. Jill Dewit: Hmmm. Exactly. So, have we lost any? Well-. Jack Butala: Yeah. I mean-. Jill Dewit: Have we lost any, or did-, you know, I don’t, I don’t look at it. Jack Butala: You know what? We haven’t lost money. Jill Dewit: But, there is one that we didn’t do like we could have done because we were done. Jack Butala: We lost opportunity cost. Right? Jill Dewit: Well, I was talking about the deal with the guest house … That deal, we could have held out and done better on, but we didn’t want to-. Jack Butala: Oh, right. Yeah. Heck, yeah. Jill Dewit: We were kind of over that deal. Now you know what I’m talking about. Jack Butala: Oh my gosh, yes. Jack Butala: No, I’m-, I would have paid to get out of that. Jill Dewit: That’s what I mean … We’ll leave it at that. Jack Butala: Wow. I just feel great now. Jack Butala: I had my fortunate-, now my-, you just cleaned up my whole month … I feel great, that we don’t own that piece of real estate-. Jill Dewit: There you go. So that’s good. 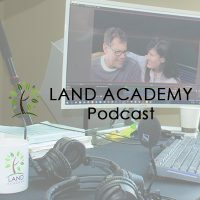 Jack Butala: If you have a question, or you want to be on the show, reach out to either one of us on landacademy.com. Today’s topic, to find any buyer-, find any property, find any information about any property with parcelfact.com. This is the meat of the show. Like all of our prop-, all of our products and everything that we do for these members, our members and beyond, it’s out of requests. So, it turns out, among the majority, when I say, “I really hate posting property.” Ask any real estate agent. Any one. Any real estate agent you know, or if you are one, how much fun it is to get a listing and put a bunch of information into a spreadsheet or into a website, somewhere. Jack Butala: In their case, it’s the MLS. Well, it’s the same thing with investors. They can’t stand it. Jack Butala: It takes hours, sometimes it takes a day. Jack Butala: We solved it. You put in a state and a county, and then the APN, or the Assessor’s Parcel Number, and about four hundred statistics, all backed up, right from the County Assessor, populate into a posting. Including images, pictures-. Jack Butala: And you name it. Tax values, prior-. Jack Butala: Prior sales value, leans, all that. Jack Butala: So, it takes all the malarkey out of it, and it’s in a matter of seconds, and how it happens. Jack Butala: So, whether you’re reviewing an acquisition and you just type it in to see if you want to do the deal, you can get all the information there. Or whether you actually bought the property and you’re posting it, or you listed it, or anything else. It populates it and then, eventually, not when we release the site, eventually, it will-, there’ll be another button and you post it everywhere. Jack Butala: Post it on LandPin, LandWatch, Land and Farm, or in the case of a house, you know, we’ll connect it to the MLS, so it gets posted there and everywhere else. But, that’s down the road. When we release the site, and we’re really close to releasing it, really-, yeah, it-, this-, actually-. Jill Dewit: It’s life changing. Jack Butala: It will change our-. Jill Dewit: I think, back up-. Jack Butala: It will change our-, with the way that you-, Jill and I buy property, we should have done this years ago. Jill Dewit: Can I explain to the joy? Jill Dewit: Okay. So, imagine this. So when we say find a property, you send out your offers, you’ve found a county, you isolated your list, you have all the parcel information. You haven’t look at them yet, because you shouldn’t look at them yet. You don’t want to spend a lot of time looking at over fifteen hundred properties, until you even see who’s even serious and might want to sell to you. Jack Butala: That’s right. The fun ends and the work starts. Jack Butala: After you’re done jumping up and down. Jill Dewit: Right. Where is this? Do I even really want this? Does it have access? Is it a good property? I mean, all these different things. I need to go look at it now. That’s where the headache can begin, because, especially, great, I have the parcel information. Okay, what if the county doesn’t have a good GIS mapping site? Well that-, check, that didn’t work. You know. There’s all kinds of things that I need to-, I need to find it and I want the GPS coordinates, and not only do I want the GPS coordinates, let’s be honest, I don’t want just the center of the property. I want the whole outline of the property, too. So, this can take some time and it’s a process and some-, you have to learn how to do it. To go and figure it out and what if the legal description, too, by the way, imagine this, because we’ve had that. Imagine you have the legal description and its not a Lot, you know, in a subdivision, it’s the Northwest corner of the Southeast half of the Northwest half of this section, of this township, in this range. So, there’s something else I’ve got to learn. So, this is why when Jack says it can take a day, it can take a day. Okay, so here’s-, that’s what you’re faced with, all right? And then I want to look up the tax situation and all that good stuff. All right, this is-, I’ve got to do a lot of due diligence. This is-, I open up parcelfact.com, I can put in the state, the county and the APN, the Assessor’s Parcel Number, and there it is. I have not only just the map, I have all that information. All those details and it’s-. When we tested this, I was blown away. I remember our tech guy said, “Ready, watch. One-one thousandth, two-“, I’m like “Huh, it’s there.” I’m like, “Oh my gosh.” And the property that we looked at, didn’t just have four corners, it had like 19 different points. It was one of those crazy properties that extends over here, and cuts up there, and it goes over there, and it was like, not even a star-shaped, I don’t even know how to describe this property, but it was really funky and it had it perfect. So, thank you. That was my description and thank you for letting me go there. Jack Butala: I’ve never been so turned on in my life. Jill Dewit: Oh, no … Oh, cut! … Oh my gosh. Thank you. Thank you, Jack. Jill Dewit: It’s how you think. Jill Dewit: I don’t think it’s nerd, it’s just how you think. Jack Butala: It’s like I come at it-, I’ll see everything in like a schematic. And you see it as someone else, who’s kind of new or doesn’t get it completely yet, sees it. Jack Butala: No, I’m serious. And then you can communicate well. Jill Dewit: You kind of walk around like you don’t really get it … but you do. Jack Butala: No, I’m serious, though. It’s a compliment. Jack Butala: Well said. No, this tool is awesome. Jack Butala: It’s nothing short of awesome. It’s … you know, it’s-, I still-, we’ve been in the Beta for a month and I still can’t get over it. Jill Dewit: This really is life changing. This like makes me cry. Like if we had this way back when, how many more deals we could be doing and how much faster? Jill Dewit: And, like you said, too, that we’re going to link that, like to our LandPin site. I mean, that’s life changing for those people. When you go to post a property, it’s going to pull in all the stuff for you, you don’t even have to do it. I mean, it’s insane. Jack Butala: There’s 148 million line items in this database, that it’s pulling from and not-, what-, which in and of itself, that’s all the property in the country. Minus like three or four percent. Only because those counties didn’t-, aren’t participating. In and of itself, that’s not that crazy, because that’s been around for a while, but what’s changed, and what our guys changed, is how fast it pulls up. Jack Butala: And how nice it is. Jack Butala: How they-, once it is up, it’s actually usable. So, I don’t even think you know this, but the day that we launch that, is the day that you will be able to do that in LandPin, too. Jack Butala: Type in those things and it will populate it. Jill Dewit: Okay. It will be the same day. That’s good. Jack Butala: And it’ll be, you know, it’ll be missing like two infor-, two fields of information, and that’s it. Jack Butala: And you hit enter and it will take less than 10 seconds, to post a property on LandPin. Jack Butala: And then another 10 seconds to push a button, so that it goes everywhere else. Jack Butala: I don’t know what else to say. Jill Dewit: Well, you know. What’s that worth? I mean, think about it. Two days of my time. Oh my gosh, it probably could take two days, seriously, by the time I find the property, I have to-, and get all the stuff together and then I got to go and repost it everywhere. Even though I’m copying and pasting it, that takes some time. Jack Butala: You know, my sister’s a real estate agent in Northern Michigan and she said, “It takes me a day and a half.” Not her now, but-, it takes her people a day and a half to post a property on the MLS. Jill Dewit: I got it. Yeah, it’s so-. If you want to be on the inside track and you want to have access to this, and you want to know right when it comes out that day, go to parcelfact.com, right now, and just put your name in and get on the email list and then you’ll know. You’ll be notified. You’ll probably get some advanced cool stuff, so you can kind of peek at it, too. I have a feeling Jack will do that. Jack Butala: Yeah, exactl-, well, “advanced cool stuff, peek at it”. Jack Butala: That’s what it’s called. Jack Butala: That’s a direct quote. Jill Dewit: Where did you go? Jack Butala: That’s what it said. That’s what you said. Jill Dewit: I did say that, but you took it to a different level. … Wow. Jack Butala: Why wouldn’t I? Why wouldn’t I? Jill Dewit: Just-, just see what-. Jack Butala: It’s our show. Jill Dewit: Dude! You can’t-, you can’t say that. Jack Butala: Sure we can. Jill Dewit: Hey, you wanna peek at it? Jack Butala: You-, that’s what it is, you’re jealous that I even brought it up first. Jill Dewit: I can’t believe you took that out of context. You took my words and just-. My goodness. Jack. Jack Butala: Now, it’s time to join us in another episode where Jack and Jill discuss how to use information, for a bunch of reasons. That’s me. Jill Dewit: And keep it hidden, for a bunch of reasons. That’s me. Jack Butala: I never get what I want. Jill Dewit: Oh … To not get what you want. Jack Butala: Just get teased. Jill Dewit: We use it every day, to buy property for half of what it’s worth, and sell it immediately. Jack Butala: You are not alone, and you’re all types of ambition. Jack Butala: It turns so fast sometimes. Jill Dewit: It’s so funny, the things that you pick up on, I-, it’s like, huh. You know, I was watching a funny show, the other day, it was so cute. It was, it was that-, its-, I like that show, once in a while, on Netflix. Tim Allen, you know, Last Man Standing, and the two daughters crack me up and the dad’s laughing because the one said, “How could you-, how could you say that to your sister. That’s so mean.” And then he turns to the sister and says, “And how could you set her up like that?” … You know. And like, that was so perfect. That’s it. Jack Butala: That’s a great equal way to discipline both kids with one comment. Jill Dewit: Mm-hmm. Yup, that’s how I feel it happens to us. Like, you’re right. How could you take advantage of me like that and how could I leave it open like that? Jill Dewit: I did. I just handed that to you. Jack Butala: Hey, if you’re from California, listener, you already know this. But, for the rest of you, it turns out, you can go watch all of these shows. You can watch them being filmed, for free. Jack Butala: You just got to sign up. It’s on the internet. So, Jill and I spend a lot more time now, here, in Southern California and so she turned me onto this thing. So, now that it’s wet-, instead of like going to a movie, we actually go watch shows being-. Jill Dewit: Yeah. Once in a while, we’ll go down to the studio and-. Jack Butala: It’s-, and-, freaking blast. Jack Butala: Watch all these actors make mistakes and stuff-. Jack Butala: We see them on the screen and it’s like everything’s perfect, but it’s not perfect at all. It’s a mess, sometimes. Jill Dewit: Right. Makes us feel a lot better about our stuff. Jack Butala: Right. You can go see Dr Phil screaming at his whole crew, if you want.